AlabamaAtWork: What in Trump’s Paid Family Leave Plan? What in Trump’s Paid Family Leave Plan? President Trump’s address to Congress Tuesday night didn’t have much on labor and employment issues, apart from the creation of jobs (which is no small thing and would be awesome if it pans out). But he did mention “paid family leave,” ever so briefly. 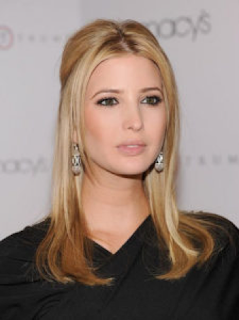 Credit (or blame) for the concept of paid family leave goes to the President’s daughter Ivanka, herself a businesswoman and mother of two young children. Moms would be entitled to six weeks of paid maternity leave, which would be financed through state unemployment systems. There has been talk that restricting the leave to mothers is unconstitutional. But because new mothers are uniquely situated in the first six weeks after the birth of a child (in other words, they’re the only ones who have an actual physical disability), which I think would eliminate any equal protection concerns. In any event, it now appears that the concept may be expanded to include fathers and LGBT parents who did not give birth to the child. If they do that, I don’t see how they couldn’t expand it further to include all adoptive parents, so be on the lookout for that, too. Families would be entitled to a tax deduction for child care expenses. As it stands now, the deduction would be available to parents with annual income of less than $250,000, and to couples with income of less than $500,000. The less-well-heeled would be entitled to an earned income tax credit for child care. Right now, there doesn’t appear to be anything for parents whose income is so low that they don’t pay taxes, and arguably they are the most in need of help with child care expenses. According to some reports, some Democrats have indicated a willingness to work with Trump because they generally favor paid family and medical leave, and they see Ms. Trump’s proposal as giving them a foot in the door. For the same reason, resistance is expected to come from Republicans, and also because the plan as it currently stands is estimated to cost about $500 billion over the next ten years. Ouch! Common Sense Counsel: This is a work in progress. A lot is sure to change before a plan is formally presented to Congress. Stay tuned as we began the ups and downs of the Trump labor and employment law train of change! Tommy Eden is a partner working out of the Constangy, Brooks & Smith, LLP office in Opelika, AL and can be contacted at teden@constangy.com or 334-246-2901. This entertaining update was given by my Partner Robin Shea in a blog post this week. Blog at www.alabamaatwork with link.